Wayne has been a member of the firm since 1979. He is recognized by the Law Society of Ontario as a Specialist in Civil Litigation; and is recognized annually by Lexpert in the field of commercial litigation, and by Who’s Who Legal, in the field of insurance and reinsurance. 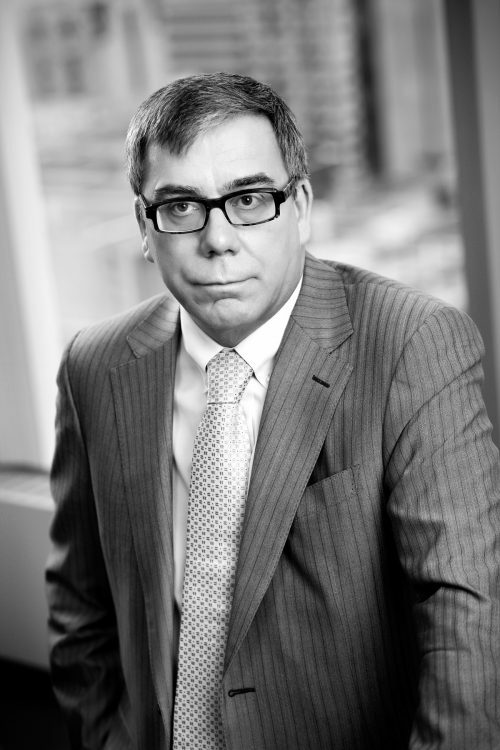 Wayne’s practice includes the defence of a broad range of claims including: commercial general liability, personal injury, medical negligence, products liability including medical devices, historical sexual abuse matters, defamation, professional negligence, directors and officers liability and machinery endorsement claims. He has acted in the defence of class actions, including claims relating to products, medical devices, tainted food and claims under the Securities Act. In addition, Wayne has been retained as an agent of the Federal Department of Justice to defend cases on behalf of various federal government departments including: the RCMP, CRA, Correctional Services, Indigenous and Northern Affairs, Transport and Immigration. He has taken over 100 trials to verdict. Wayne graduated from Osgoode Hall Law School, and was called to the Ontario Bar in 1981. Wayne has taught the Trial Advocacy and Civil Procedure seminars at the Bar Admission Course, and is a frequent speaker on topics relating to insurance and general liability matters.